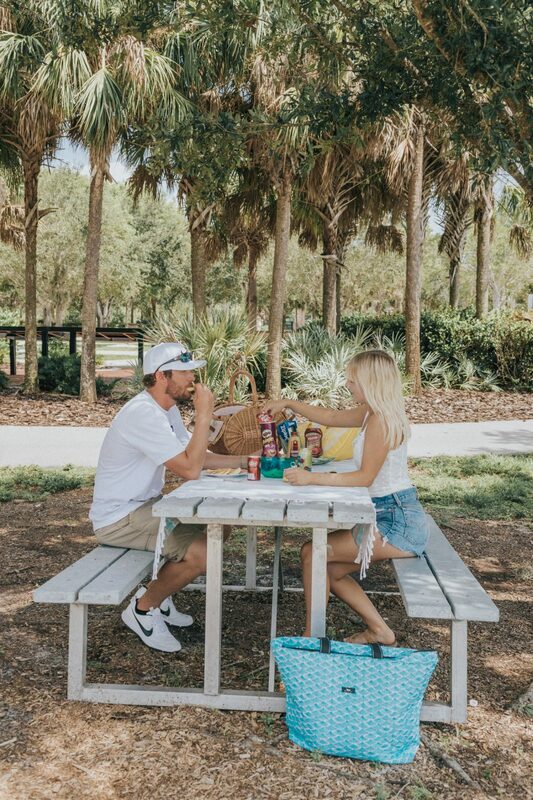 One of my favorite ways to have lunch is on a picnic. There is just something about being outside and enjoying a yummy meal. 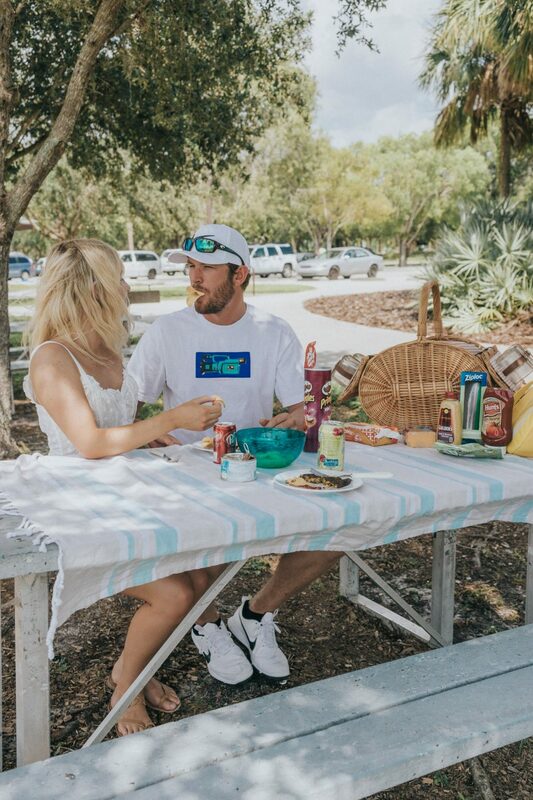 Things get a little more calm in the summer and it’s easier for most people to have more picnics. 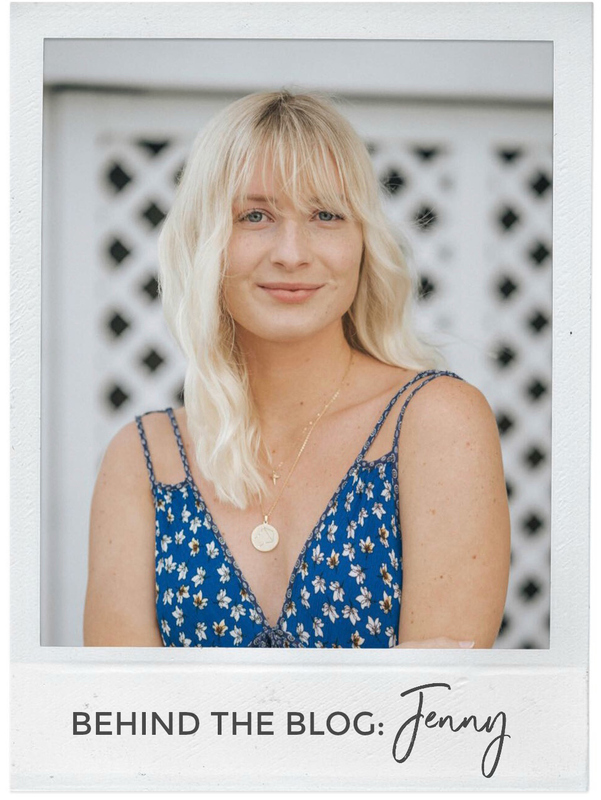 However, it can be easy to forget items when you’re caught up in just wanting to leave your house for a picnic – so follow my little list and you’ll be set. 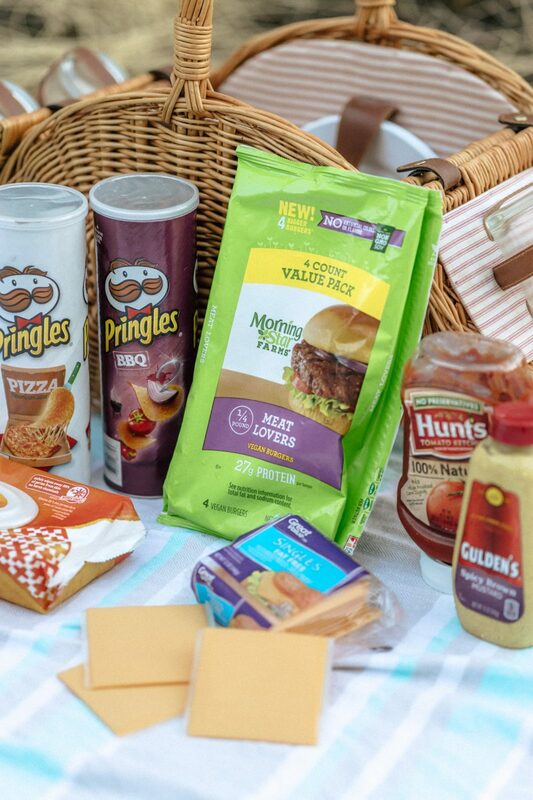 For this specific picnic, my fiancé and I enjoyed the delicious new MorningStar Farms® Meat Lovers Burgers and a few snacks to compliment the burgers perfectly. And don’t forget your sunscreen! 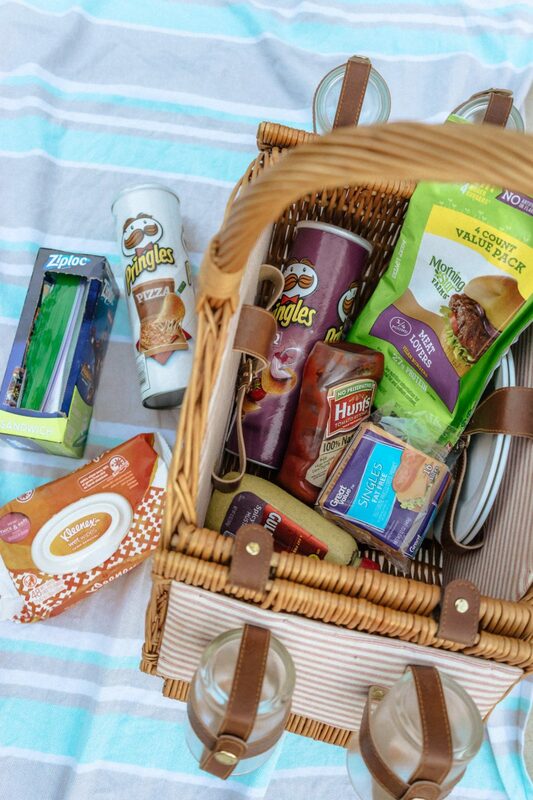 Once you gather up all of the above items, you are set to have a fun little picnic. 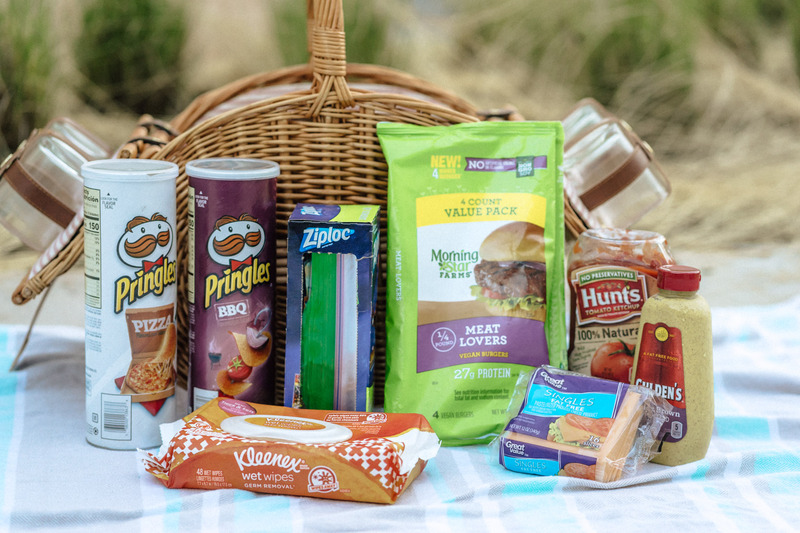 You can easily get everything on my list at Walmart, even a picnic basket! 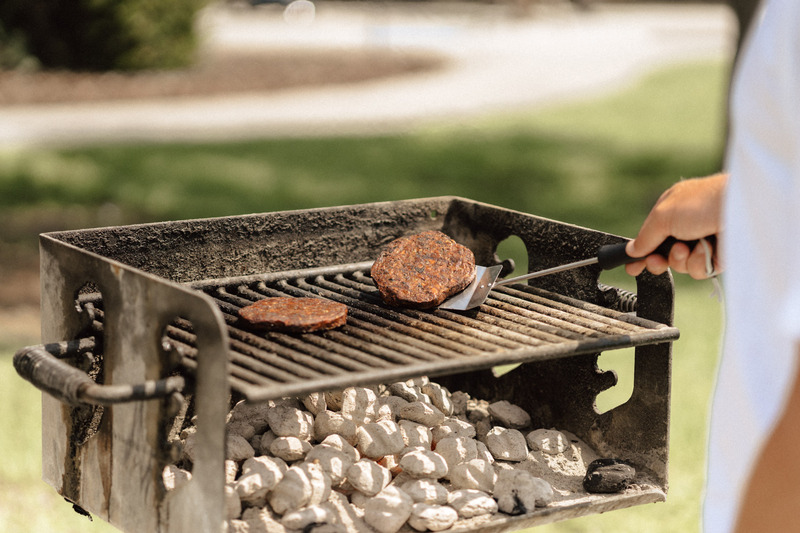 Then just head to your favorite park with a grill (or bring your own) and fire up the coal to cook those veggie burgers! 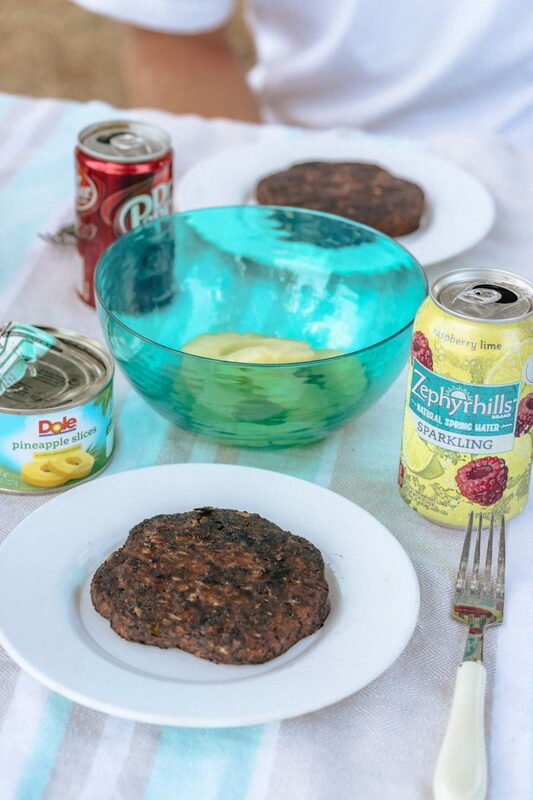 I love, love, love MorningStar Farms® Meat Lovers and Veggie Lovers Burgers (and all of the other veggie burgers). They are my favorite veggie burgers that I have tried. They taste truly delicious and most of the time I can’t have just one. My favorite way to eat them is without a bun, dipped in mustard and ketchup. Plus, they are a healthier option! Pringles are my weaknesses. I am a sucker for BBQ Pringles and Pizza flavored ones too. They just make such a good snack and are perfect for an outdoor BBQ, even if you are only just cooking up veggie burgers. 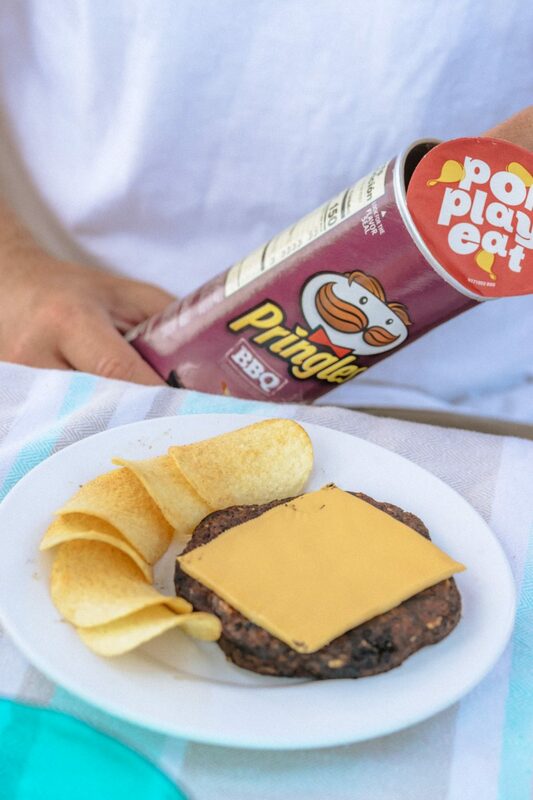 Along with Pringles, I included pineapple as a side for this picnic. Keep the can in your cooler and pop it open when you want a cold, juicy, refreshing snack. 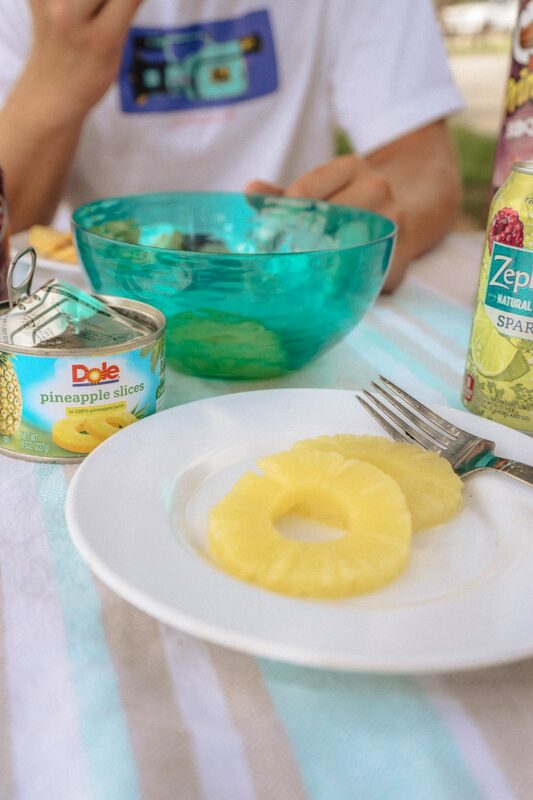 The pineapple is a necessity for a hot summer day, let’s be real! Speaking of hot summer days, make sure to pack refreshments! I brought along one of my favorites, Dr Pepper because nothing hits the spot quite like an ice cold Dr Pepper; and don’t forget your H2O, water is always good to have on hand during the summer so I brought along Nestlé® Sparkling Water, Zephyrhills® Raspberry Lime made with real spring water, real fruit flavors, and refreshing bubbles – who knew that hydrating could be so fun and flavorful?! 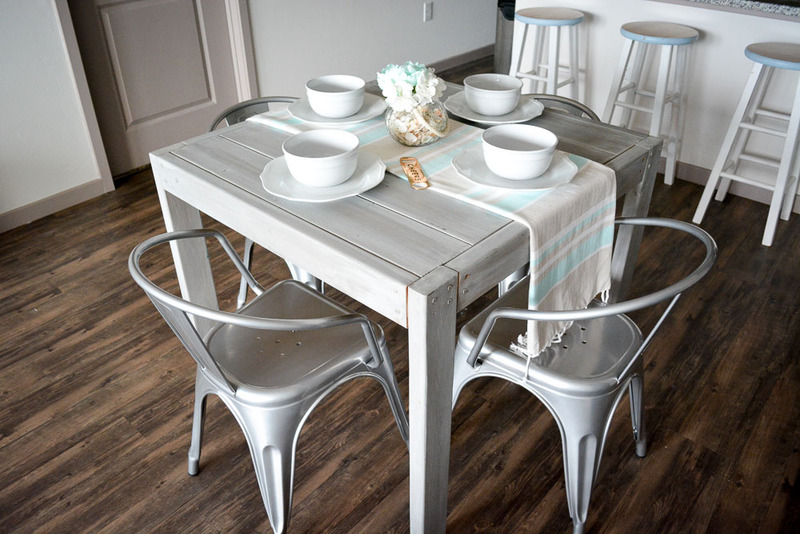 After you are done making a mess, cleanup is easy. Trust me. 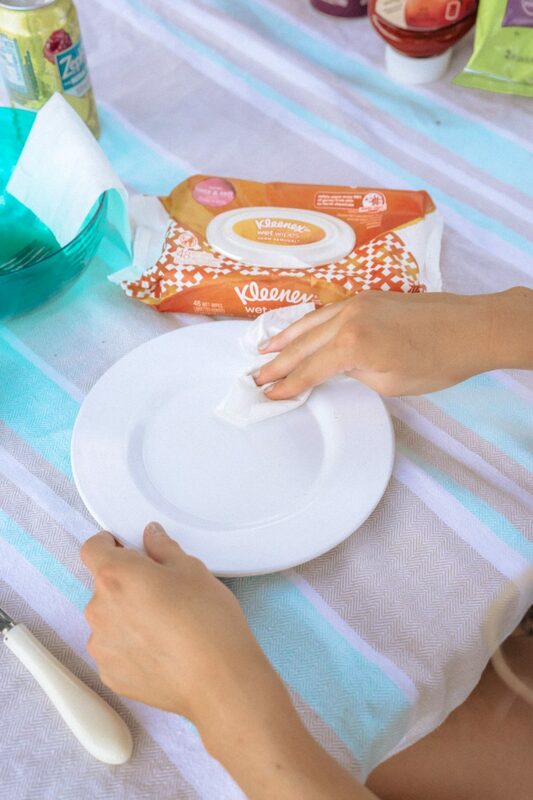 Just pull out your handy dandy Kleenex® Wipes and wipe everything down, your plates, forks, knives, spatula, even the picnic table if you’re that messy. I had everything cleaned up super fast with these wipes. If you have any leftovers like pineapple or extra burgers, just zip them up in Ziploc® plastic bags. Cleanup is done! 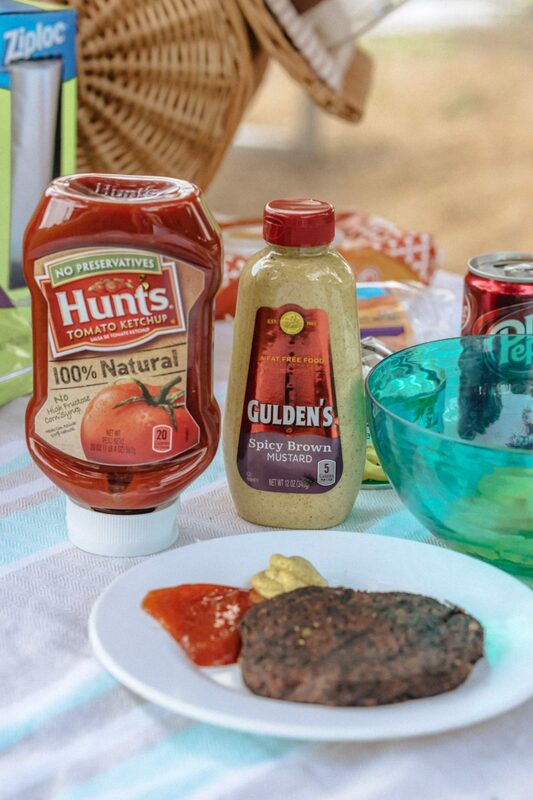 I loved having a picnic with MorningStar Farms® Meat Lovers Burger. If you’ve never tried them, you need to ASAP. And guess what? The MorningStar Farms Burger Bar Truck will be driving around to visit Walmart stores around America so you can try a burger! Visit BurgerBarTruck.com to see if it’ll be in your area and find even more delicious recipe inspiration from renowned Chef Capon, 6-time Burger Bash NYC Champion. You can also visit BurgerBarTruck.com for additional savings at Walmart!